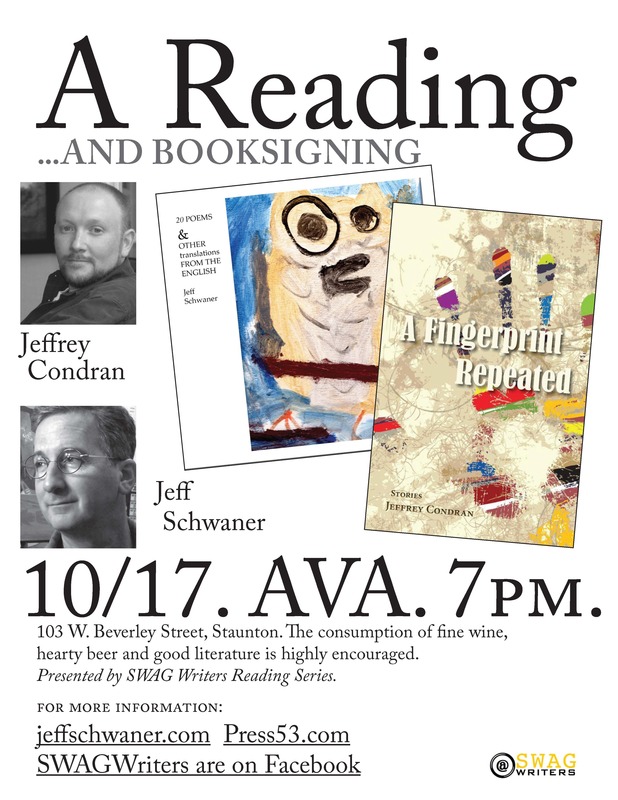 I think I finally have the design finished for the poster for the October 17th reading with Jeffrey Condran. Cliff Garstang of SWAG has also done a nice color poster for the event. 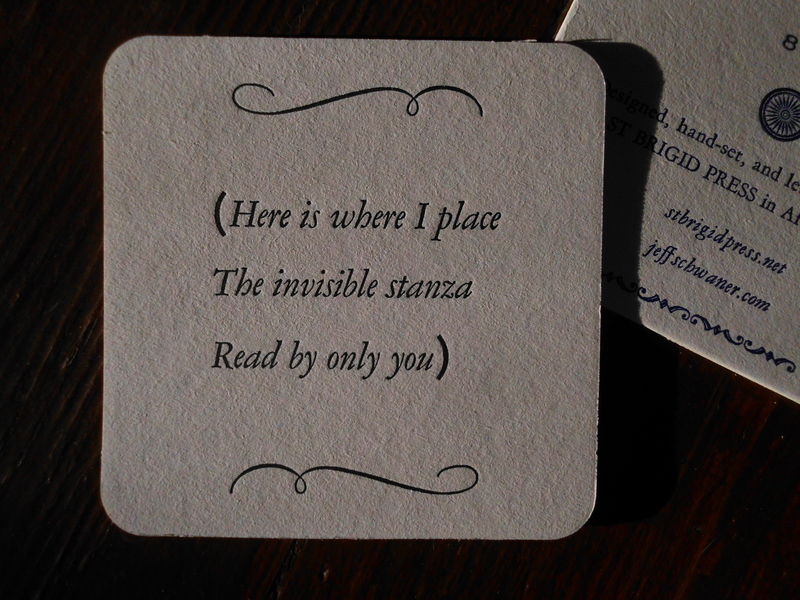 This entry was posted in Poster Design, Readings and tagged AVA, design, Jeffrey Condran, poetry, readings, Staunton on September 24, 2013 by Jeff Schwaner.